Much like clean air, parody is a hard thing to come by here in Utah. Outside of dinner theater and improv groups the vast majority of it is either high on the dry wit scale, or has been cautiously watered down to the point of stupidity. But an online publication has taken a firm stand to put a satire spin on anything and everything local, and damn the consequences that follow. Gavin: Hey Ryan. First off, who do you guys think you are? Ryan: We are The Regal Seagull: Utah's newest and number one-iest news source. We provide Utah news so hard-hitting, it gives concussions. We provide news so revealing, it works at Bikini Cuts. We provide news so breaking, it's nickname in elementary school was "butter fingers." Our hundreds, if not tens, of readers would agree. Gavin: For those who don't know, how would you describe this online rag you run called The Regal Seagull? Ryan: The Regal Seagull is a satirical news website, covering Utah and national news. 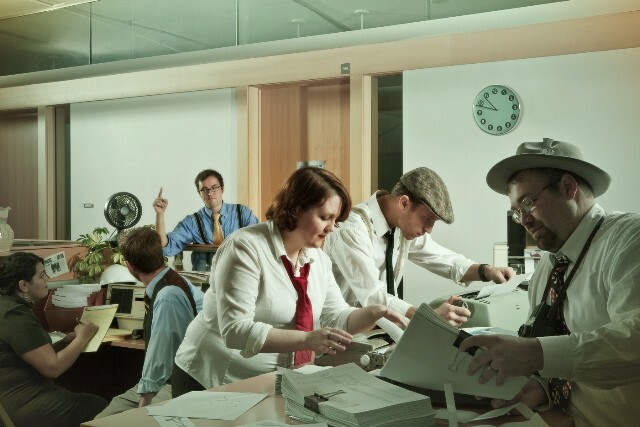 We're like the Salt Lake Tribune but without the prestige, and we're like The Onion, but without all that pesky humor. 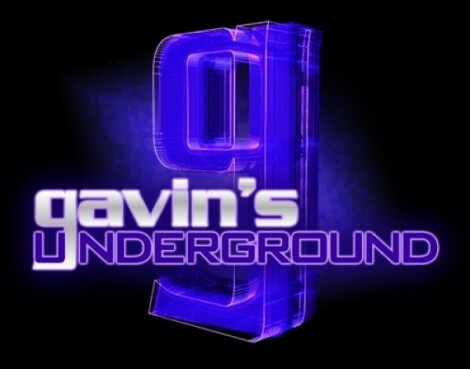 Gavin: Where did the genius idea come from to start it? Ryan: In 2007 and 2008, I applied to write for The Onion. After making it to the advanced hiring rounds, I was graciously not given a job. This happened twice. After the second time of not being hired, I decided to start my own satirical website, with the difference being that our website would focus more on Utah news. I found several writers, a graphic designer, someone to build our website, and Waldo (he was behind the lamp post) and in April 2008, The Regal Seagull was launched. Actually, the word 'launch' implies exponential upward momentum, so in April 2008 we probably didn't "launch" as much as we "passed forward through the barn door." Gavin: How did all you drunks find each other to write it? Ryan: We all belonged to the same AA group. ...Actually, I found the writers for The Regal Seagull through a number of different ways. I found the first several writers simply by posting ads on Craigslist and by asking friends of mine who were writers if they would be interested. We've since found other writers who have come across our website, and emailed asking if they could write for us. Gavin: Did you know what you were going to do with it, or were you just experimenting at first to see what worked? Ryan: Trust me, there was definitely some experimentation. Oh wait, we're still talking about The Regal Seagull. We knew we wanted to create a satirical news website, but that was about it. The website has since gone through a few redesigns, and the format itself has been through a number of reincarnations. We at first updated only once a week as opposed to every day, which we do now. We're happy with the current version of it, but it's still growing and evolving. There are still a few things we'd like to change or add. Gavin: What was that first month of internet obscurity like? Ryan: Kind of like it is now, only it was the first month. Gavin: Did you think the idea would catch on, or were afraid the subject matter would be lost on local readers? Ryan: We didn't actually know whether it would catch on first. The paradox of writing humor is that you convince yourself that you're simply writing because you find joy in it and don't care whether anyone else likes what you're writing or not - while on the other hand, the only way you'll be successful at writing is by finding an audience who's receptive to your humor. So while we tried to convince ourselves that we were simply writing for us, we all obviously hoped it would catch on. The difficult thing about writing humor in Utah is that you never know whether it's going to be accepted by local readers or not. Writing humor in Utah is a crap shoot. And because gambling is illegal in this state, let me rephrase: Writing humor in Utah is a roll of the dice, while playing a board game during Family Home Evening. Gavin: What's this I hear about you guys having fun with gubernatorial candidate Bob Springmeyer during an election? Gavin: Is it difficult staying topical or do the bigger idiots in town make things easier for you? Ryan: It's pretty easy to stay topical, although we've since broadened our scope of satire. For maybe the first six months we decided to specifically stay Utah-only. We realized after some time though that if a website wishes to expand and grow, it has to appeal to as many people as possible. While we continue to “cover” Utah news stories, we now cover national news stories as well, in order to bring in a wider audience. I think the move has been successful. But the bigger idiots in town definitely help. Gavin: Do you hate being compared to The Onion, or do you take it as a badge of honor? Ryan: Are you kidding? Does the Pope like being compared to Jesus? We've occasionally been accused of ripping off the idea of satirical news from The Onion, to which we reply "thank you." Ironically, about six months ago The Onion used a story that I had actually sent them as part of my application, so perhaps it's The Onion who's being compared to The Regal Seagull. I assume they're jealous of our dozens of readers. Gavin: You recently opened up an online store to cash in on it. How has that been going for you, and what do you have available? Ryan: Our online store so far hasn't seen a huge amount of success, so we're probably going to scrap all The Regal Seagull merchandise and start selling Obama collector's plates. And ShamWows. Gavin: ShamWow?! Ohhh! Put me down for two. A little state-wide, what's your take on local publications, both good and bad? Ryan: We'd prefer to not name names, but there are good publications which we read every day, and then there are bad publications out there which do a better job at embarrassing the state than Chris Buttars does. I do however think that Utah has many fantastic political and personal blogs which I read pretty regularly. Gavin: Any specific ones you love to death or hate with a passion? Ryan: As I mentioned, we prefer to not name names. But if Gayle Ruzicka published a weekly newsletter for the Utah Eagle Forum, I would buy 50 subscriptions. Gavin: More nation-wide, what's your take on parody sites in general? Are they up to par or are they just poorly conceived? Ryan: A lot of websites out there are pretty clever. I also think many satire and parody sites out there are terrible and poorly conceived, and yet continue to be ridiculously successful. Half of America ranted and raved about “Stuff White People Like,” but I didn't really find it that funny. Just to prove how out-of-touch I am when it comes to “what's funny,” our writers have occasionally written stories for The Regal Seagull which I didn't get - yet these are often times the very stories which bring in the most traffic to our site. What I'm trying to say is that I should find a new career. Gavin: Do you believe its easier in the internet age to be a writer, or is there just a bigger influx of bad material to sift through to find the gold? Ryan: Wow, isn't that the question of the ages. Or at least the question of today. The internet has certainly been both a blessing and a curse, because it's much easier to be discovered - just look at anyone who's found fame through a blog or YouTube. At the same time, the internet has given a voice to every idiot with a computer and an opinion. The goal of course in writing in the internet age, is to be more "diamond," and less "rough." Gavin: What can we expect from you guys the rest of the year? Besides unemployment. Ryan: We'd prefer to not reveal all our cards at once, but we're planning a podcast, weekly videos, and possibly even a live event at some point this year. We're also really bad at poker, so we won't reveal any more cards than that. Gavin: And finally, are there any plugs or death threats you'd like to make public? Ryan: We don't have any plugs or death threats, but we do have a wish: We wish, like every other humor writer in this state, that Chris Buttars will continue to live and say things until he's 104.